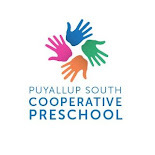 Puyallup South Cooperative Preschool: Registration for the 2018-19 School Year is Open! Children and Parents Growing Together! Registration is open for the 2018-2019 school year! Spots go fast so grab one today! A $55 non refundable registration fee and completed registration form is required to hold your student's spot. (Additional children in family are $25 each). Blue Class (2's): Only 6 spots left! Pre-K (4's-5's): Only 4 spots left! Simply click here to register or email to puyallupsouthcoop@gmail.com to get registered! *If classes are FULL, we can add you to our waitlist. Occasionally spots open up and we contact you first for the spot! Waitlisted children do not need to pay the registration fee until a spot becomes available. Cooperative Preschool. All rights reserved.